I'm a big fan of a good detox. Whether that's from dairy, or sulphate shampoo, or soft drinks, I just love the idea of helping my body to help me out. I always think of a detox as a way to go back to ground zero, and a way to feel pretty zen. 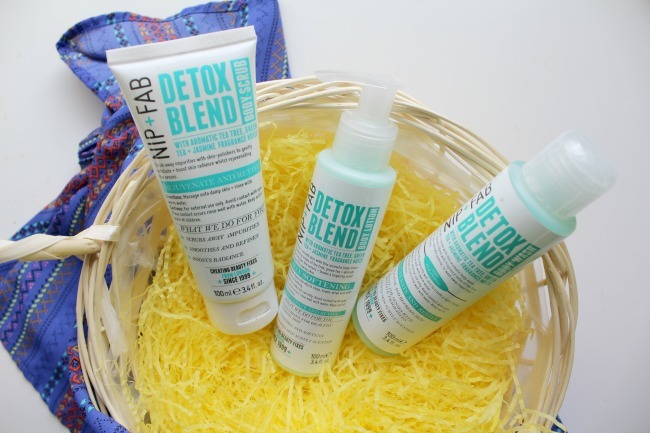 So it's no surprise that I had to give the detox blend range from Nip + Fab a go. This was my favourite out of the three. The whole range is tea tree and jasmine scented, so as you can imagine, it smells very fresh and a little floral. This woke me up in the morning and made my skin feel genuinely clean. I was so excited to try this, but so so disappointed with the formula. I don't know if mine had gotten water in it, or what had happened, but the consistency was honestly like water with a few exfoliating beads in. I used up the whole bottle in four uses, and I was actually quite glad to get to the bottom of it. I tried so hard to persevere and use it, but it just ran off my skin, and the little bit of scrub that I managed to keep hold of just didn't exfoliate my skin as much as I would have liked. This was much better than the scrub. Although it was described as a lotion, it was fairly thin, so was almost like a milk. It's also the only lotion that I've ever used with a pump (I'm more of a body butter tub kinda gal normally). The lotion I used before this was so thick and greasy; it just refused to sink in. So, this was such a welcome break from that. It applied really easily, and felt clean and refreshing, which is definitely what I needed in the recent heatwave. Have you ever tried any skin care from Nip + Fab? What would you recommend? 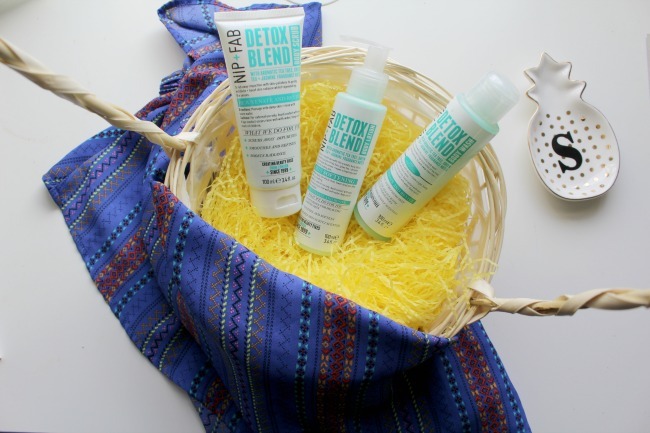 I had their Glycolic exfoliating pads and I was so pleasantly surprised with them. They really made a difference and my skin was so much healthier after using them.